Bert – $0 – A quiet this month for me. But hey, I’m never bothered by a small month of ebates rewards because that means I have made less purchases…right??? I did make one purchase through Ebates this month when I purchased a Groupon for a new local restaurant. I paid $16 for a $25 gift certificate (after applying a 20% coupon code, of course) and received 6% cash back on the purchase through Ebates. I was pretty pumped. However, due to an error, I haven’t received my $0.96 credit yet. What the heck? Trust me, they have received several inquires about this already and hopefully my account will be credited shortly. 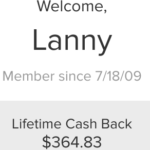 Lanny – > 3,071 Swagbucks or $30.71 – I was excited to know I kept the trend of over $30 per month alive through this side hustle and hit my 4th month in a row over $30, finishing at $30.71. Due to work constraints, was not able to spend as much time on here. The way I was able to monitor this was take my end of previous month lifetime amount and subtract out my lifetime amount at end of month (found in the activity section of your account). Bert – 2,765 Swagbucks or $27.65 – I was able to continue increasing my Swagbucks cash out amount with more free time due to the fact my housing projects are winding down and more efficient use of the website. I’ve finally settled in and figured out the best method to earn Swagbucks. I use videos during the day that run in the background at work and I like to complete a survey or two in the evening while relaxing. The system has worked well in September and October and I look forward to continuing my success in November. Plus, I was able to cash out and transfer $25 into my student loans savings account. This extra cash will be used to pay down my wife’s student loans! Ibotta – Ibotta is one of our favorite apps because it is so easy to use. It is so easy to earn money that they even give you $5.00 just to sign up! The app allows you to earn cash back from nearly every grocery store and an expanding list of online retailers (such as Jet.com, Target.com, and so on). Before shopping, you scan the available rebates on thee app and see which items you are planning on buying. Some example of rebates that may be available any given week are $0.25 for different fruits/vegetables, $1-$2 off of a certain body wash or shampoo, $1.00 for purchasing a certain type of coffee, $2-$3 back for purchasing beer or wine, or our favorite, $5 off of a plant-based protein shake powder! One of our favorite things about Ibotta is that the discounts don’t just apply to goods that are impossible to find or are very expensive. There are always a few name brands to choose from! Ibotta makes it easy to redeem cash as well and the process takes less than a minute after you complete your purchase. You simply scan the receipt, select the rebates that were purchased during that shopping trip, and then receive the credit within 24 hours. If you would like to try the app, we included a referral link in the banner below our monthly summary and at the beginning of the paragraph. Lanny – $5.50 – Another drop here, due to limited shopping opportunities, we’ll see if I can get this back up in November. In total, I’ve earned over $183.00 in cash back from the website. However, I highly URGE you to sign up. Yes, sadly we do get a referral kick back, but this is by far the EASIEST way to get cash back. Further, the beer, wine categories make it fairly simply to rack up (usually $1.00 – $3.00 for a 6-pack and/or bottle of wine, eh, I’m Italian and Irish). Additionally – supplements like vitamins are a bigger cash back piece as well. 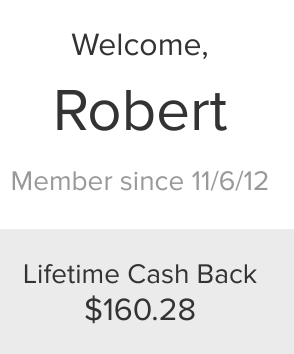 Bert – $18.50 – On my personal account, I only received $1.25 in cash back from Ibotta. Even though we like to typically shop together, my wife had to handle most of our grocery shopping in October. Luckily for me, she has started using Ibotta before each shopping trip and she was very smart about her shopping. She earned $17.25 cash back this month by simply planning ahead. Amazing stuff and I am proud of her for sure! Lanny – $0.00 – Twas a dry month in October, as I had a few small items sell, but nothing worth mentioning. November is the plan to hit this one harder, and taking a look at the wardrobe this time to reduce the number of dress shirts I have and T-Shirts that are from designer brands. Further, one should see 5 benefits of getting rid of “stuff”, I know I own too much crap in my life that is consuming space, time and resources. In the end, the idea is that the items sold or donated will add value to someone else’s life, as that’s the purpose of owning something, to add value. Bert – $0 – Darn – back down to zero this month after over $4 last month. My wife and I continue to unpack and build our inventory of items to eventually sell. But listing takes time and I need to have a day or night where I have three focused hours on building a large online inventory. This month I was able to list three items on eBay. Two pairs of shorts and an never-worn pair of jeans that my wife bought years ago. We had several watchers and over 30 views on the jeans. Unfortunately though, there were no bids. I do remain optimistic that we will be able to sell these jeans soon though and I cannot wait to report it the month it finally sells. Lanny: $53.82, total of $425.61 since tracking on the blog! Bert: $46.15, total of $271.03 since tracking on the blog! 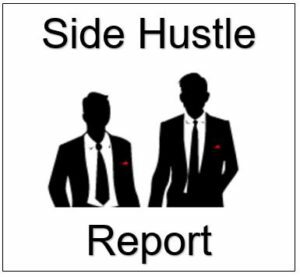 Diplomats Side Hustle Total: $99.97, Cumulative Total of $696.64 since tracking on the blog! This entry was posted in Frugal Living, Monthly Summary, Side Hustle and tagged ebates, ebay, Ibotta, Side Hustle, Swagbucks. Bookmark the permalink. It’s nice to see that you keep the momentum going. $50/month in side hustles is great. It’s probably 10K in capital you didn’t have to invest in order to get it in dividends. Thank you for the comment. $50/month is nice, $100 is better, haha. And you are right, when you break it down into capital terms – you are exactly right and I never thought of that. Nice side income! Question: We are supposed to be uploading our receipts to IBotta, is their any privacy concerns? How is IBOTTA using this data? Thanks for the comment and question. No privacy concerns, fun app and I can see iBotta using the data within the app to ensure you receive offers based on offers redeemed previously. Nice update. Do you feel like Ibotta and certain rebate sites ever end up encouraging you to spend more then you would have? Thanks DM. Honestly, no. But I can see how it could. We are both pretty good at only using it to purchase a product that we normally would have. Great question. Though! Thank you very much for the comment. We do this for fun, but we do make a dollar or two along the way! But this is something that Bert & I have been working on to find the right way to structure the article to show the few bucks we receive. Honestly, we love writing and making a few dollars from this makes it more amusing and almost in a funny-type of way, because we truly are happy doing this. And honestly – this comment means so much to us. Literally, we pour our blood sweat and tears into these articles, from late nights, to early mornings and hopefully you can see the emotion from our words. We are true, honest and hopefully are adding value, that’s what it’s all about. Very nicely done fellas, keep up the good work! Appreciate it and always, even if our eyes are blood shot and we haven’t slept in days – the hard work will come first, haha. Well, sleep is always a good thing though! You said it. Extra $$ is where it is at and we love it. Every dollar counts in this game, and we are playing to win. Last month my total was effectively $0, but I had other stuff going on, should be averaging around $150-200 going forward. Whatever $ is another inch forward. Have you guys tried Inboxdollars? Kind of the same schemes as the above sites, but you can fill out surveys for cash and you get emails that give you $0.02 a piece. Pretty easy to get some cash, but it takes a while. Darn right. Every dollar and cent makes a difference. It adds up! Lanny actually showed me InboxDollars and I tried it for a little. However, it never stuck and I found myself gravitating towards Swagbucks with my extra free time. Congrats on the side hustles to you both. Every dollar does count! Those hustles are easy to do and you’re able to get money in your pocket to do as you please. Thanks you DP! The extra money in our pocket is amazing considering the small amount of time/effort it takes. Makes a huge difference in the long run and it adds up quickly. Good job guys, good job earning side income. I always enjoy reading these updates. I will have to see if we have swagbucks in Canada. Thanks guys. Thanks Matthew! Much appreciate. Let us know if you are able to sign up and start earning some swags.